Farmers.gov is mobile device-friendly and can identify for farmers the most convenient USDA office locations. New functions will be added shortly, including an interactive calendar, farming success stories, an online appointment feature, digital forms, and a business data dashboard. 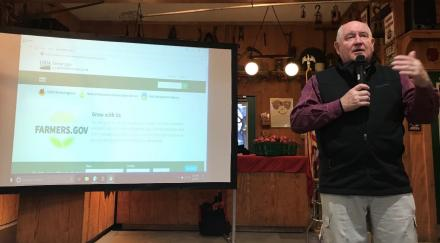 Additionally, when the 2018 Farm Bill is signed into law, there will be plain language program descriptions and a tool to determine eligibility.